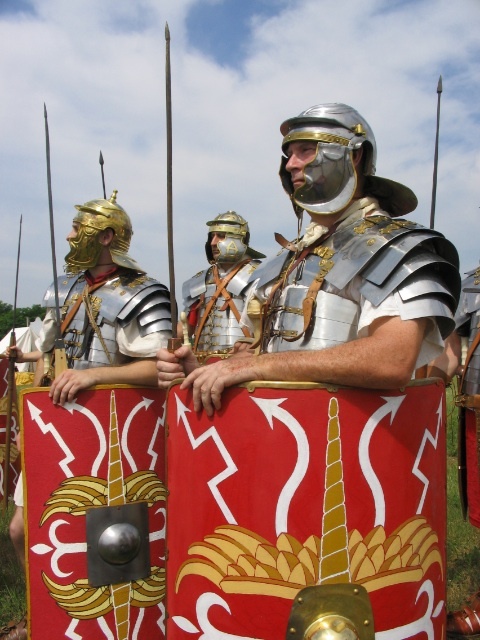 Life as a Roman legionary was tough. You served for a minimum of 25 years on the outer edges of empire and against violent barbarians who wished you ill. Discipline was harsh, life was cheap and the chances of surviving your full term far from guaranteed, so it’s a good thing there was wine to be had. Everybody in the wine trade knows that it was the Roman legions that helped make European viticulture what it is today. Sort of anyway. Viticulture was not at all alien to the Celtic tribes of Gaul, Iberia and Helvetia and wine drinking was well established before the arrival of the legions. Sadly, the romantic stories of Roman soldiers carrying Syrah/Shiraz and Viognier vines into the Rhône following earlier conquests in Persia are unlikely to be true – charming though they may be. More accurately, Roman conquest caused viticulture to flourish in its wake, soldiers on the campaign trail having little time to start cultivating crops. Rather, it was the administrators and tradesmen who came behind the legions – there is evidence they were there beforehand – who helped develop viticulture in the conquered provinces not only because it was a valuable trade resource but also because it was an essential part of a Roman soldiers’ diet. As is always pointed out, alcohol was much safer to drink than most water in the past but it was also seen as healthy in its own right. The Roman physician Galen is said to have used wine to disinfect the wounds of gladiators. Being forward thinking, the Romans introduced wine into the soldier’s rations quite early on; during the Republican era in fact. The historian Appian apparently recorded both wine and a drink called “posca” being among the supplies of the general Lucullus during the conquest of Spain in 153BC. The better wine was kept for the generals and the soldiers made do with posca. Posca was a peasant drink using wine or sometimes vinegar mixed with water and herbs. The name is thought to derive from either the Latin, “to drink”, “poter” or the Greek, “very sharp”, “epoxos” or possibly just “oxos”, “sharp”. As most Roman wine was probably a little closer to what we call “natural wine” today, low in sulphites and so on, it is likely to have quickly oxidised anyway and the majority of posca was probably made with spoiled wine. Nonetheless, it was actually a fantastically useful liquid and filled the role of a sort of proto-energy drink or gel which modern soldiers are given today too – though without the alcohol. On the march or in camp it provided liquid, calories, vitamin C which prevented scurvy and the alcohol helped kill bacteria from whichever local water supply the soldiers were using. When the Roman soldiers passed the crucified Christ a soaked sponge on a hyssop stick it was highly likely that it was posca in which the sponge had been dipped. By 360AD, soldiers drank wine and posca on alternate days and it was highly prized for its remedial effects by the emperor Hadrian for one. Alongside their physical fitness and discipline, Renaissance historians also attributed the Roman’s conquering abilities to their diet of pork, cheese…and posca. Next time: the military origins of gin and the term “Dutch courage”. Brilliant article. Thanks to our own Uisge and his powerful recommendation and link. All lovers of good spirit and who respect history and tradition – essential for appreciation – must read this!